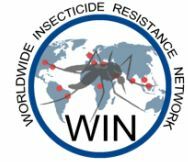 Dr. Fonseca will attend a Strategic meeting of the Worldwide Insecticide resistance Network (WIN) that will be held in Rio de Janeiro, BRAZIL, from May 04-05, 2017. This meeting is supported by the WHO Research & Training program on Tropical Diseases (TDR) and the Department of Neglected Tropical Diseases (NTDs) and the US-Centers for Disease Control and Prevention (US-CDC). A proposal entitled “Predicting the evolution of vector-borne disease dynamics in a changing world” by Dr. Fonseca was top rated in the NSF DEB Ecology of Infectious Diseases panel (five “excellent” and one “very-good”) and recommended for funding. Using Next-Generation genomics we will generate one of the first comprehensive datasets detailing the evolutionary potential of the major players in a complex multi-host disease system: avian malaria in endemic Hawaiian birds transmitted by invasive mosquitoes. Our results will help mitigate the anthropogenic impacts associated with invasive species and climate change, and can be translated directly into practical management recommendations. This 4 year $2,498,876 project is slated to start on July 2017. A grant on”Climate Change, Nuisance Mosquito Populations, and Long-term Resilience of Coastal Salt Marsh Systems” was awarded to the Center for Remote Sensing & Spatial Analysis (CRSSA), the Center for Vector Biology (CVB) and the Jacques Cousteau National Estuarine Research Reserve (JCNERR) plus in collaboration with state and county mosquito agencies. This entry was posted in Uncategorized on March 23, 2017 by Lisa Reed.